The kids and I met some friends at Children’s Fairyland in Oakland this morning. It was great! It’s an adorable storybook-themed park for kids. You can fall down the rabbit hole with Alice, see Snow White with the Seven Dwarves, explore an old western town, take a ride on the Jolly Trolly, spot Rapunzel looking out her window, etc., etc.! The rides are kid-sized, so they get to ride them without parents, which of course they love! You can also purchase a key which the kids can use to unlock stories and music at the different attractions. I was pleased with the concessions, which were varied and reasonably priced. 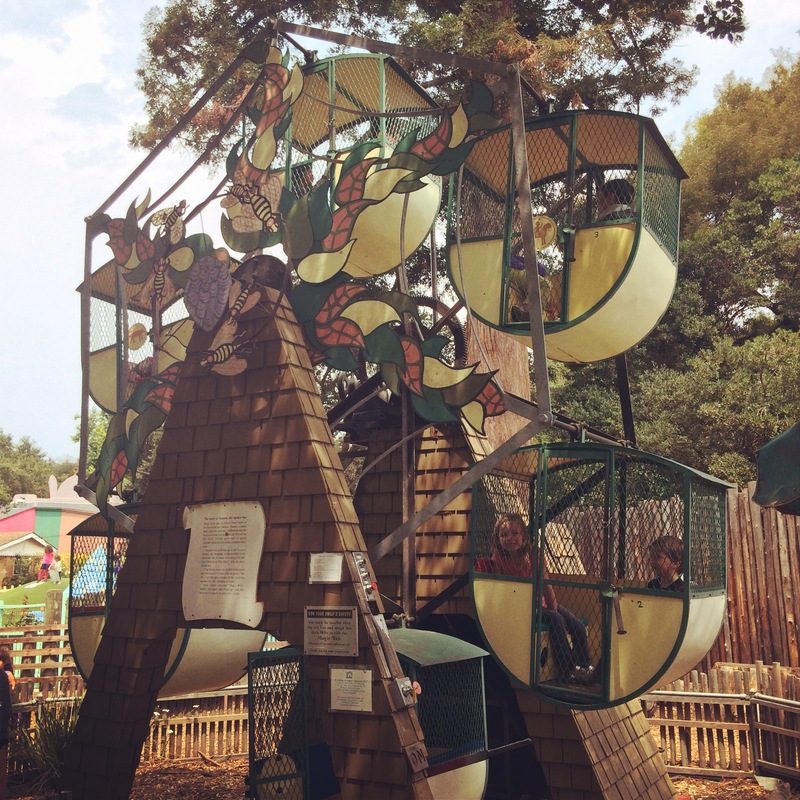 The kids’ favorite feature may have been the pint-sized Ferris Wheel! Well, either that or the many ships they could play on/in/around…. Our least favorite things were 1) leaving and 2) all the goose poo between the parking and Fairyland. The other day I wore a hole in one of my hand-knit socks, and I suppose that was the straw that broke the camel’s back, so to speak. My pile of socks-to-be-mended had gotten too big to ignore, so I set my sights on a darning egg and tutorials on how to darn my socks. A quick google search of darning eggs showed me that there are several available at Lacis, which is a textile museum and shop in South Berkeley, just a hop and a skip away from Fairyland! I don’t make it to the East Bay that often, so I was excited that I could kill two birds with one stone! 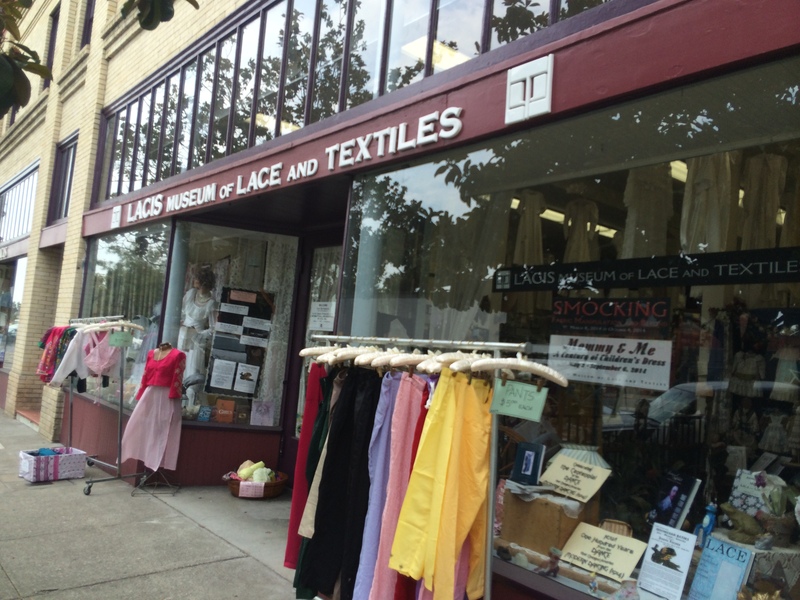 I had only been to Lacis once, when I lived mere blocks away, and it was just across from the train by which I commuted daily, but I was too early on in my fiber-arts hobbies to understand how incredible this place is. Knitting, embroidery, crochet, millinery, that’s just barely scraping the surface of what this place has to offer! If you’re in the Berkeley area and you have similar interests to me, you won’t regret a trip to Lacis! Unless, of course, you have kids with you. Then you might sweat a little, which I did, but it was worth it because I found what I wanted and more! 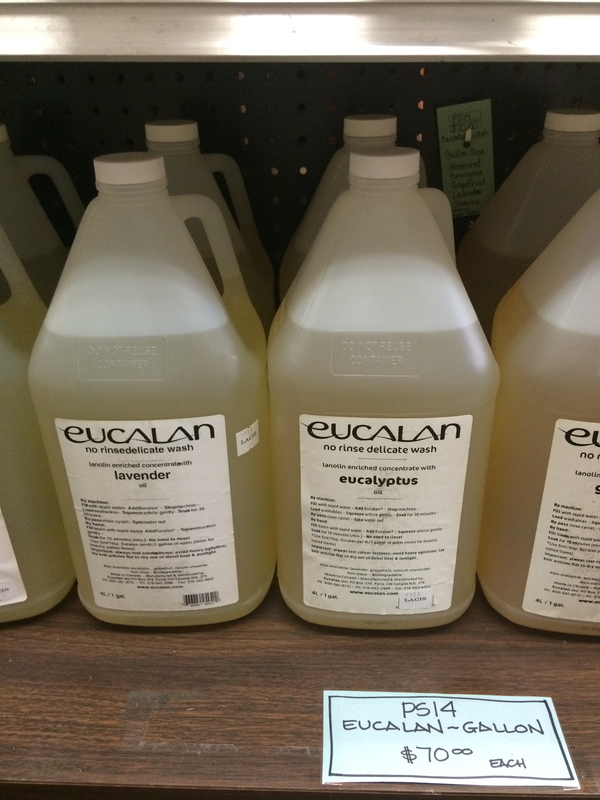 Eucalan by the gallon! Wow! 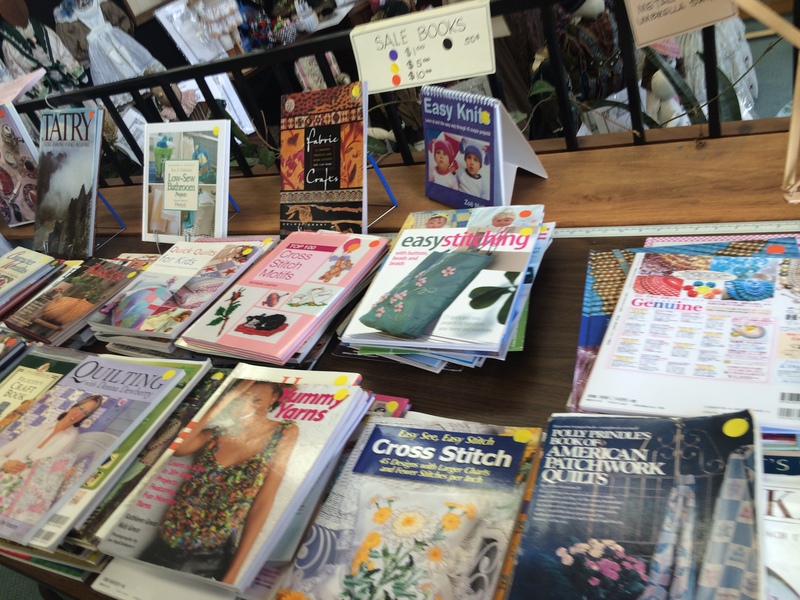 Books and magazines on sale! If only I’d had time to browse!!! 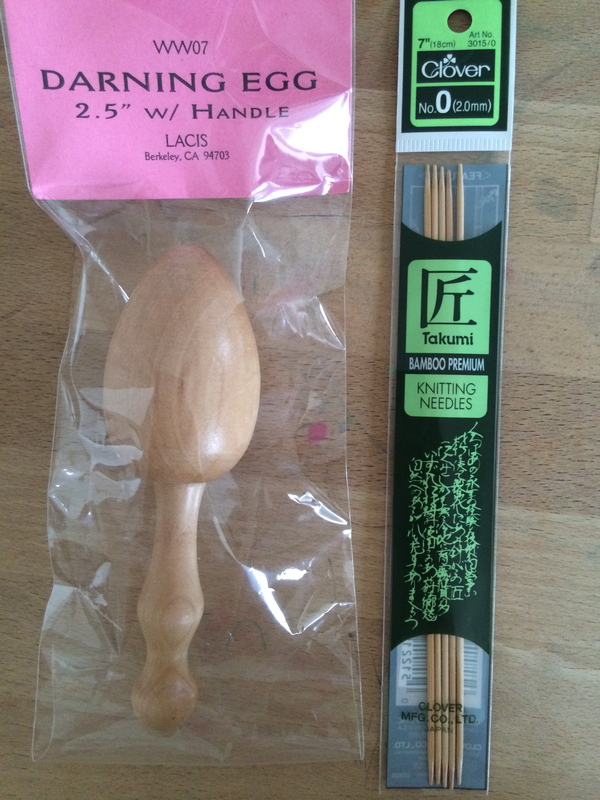 My modest but useful purchases. In the end, I left with only the darning egg I was looking for, and a tiny set of dpns with which to knit on patches to my hole-y socks. I can’t wait to get to work!